Robert B. Hawley, II joined the firm as an associate in December 1996 and became a partner in January, 2001. Prior to attending law school, Mr. Hawley served in the U.S. Army and the Ohio Army National Guard. Mr. Hawley received his law degree in 1996 from Capital University Law School. 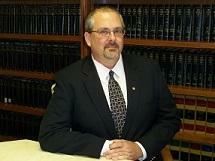 Mr. Hawley concentrates his practice in the area of family law and mediation. Mr. Hawley is a Member of the Ohio State, Columbus and Delaware County Bar Associations, and their Family Law Committees. Mr. Hawley is also a member, and former Board of Directors member, of Central Ohio's, Collaborative Divorce Professionals, Inc.